Today it is International Mother language day. 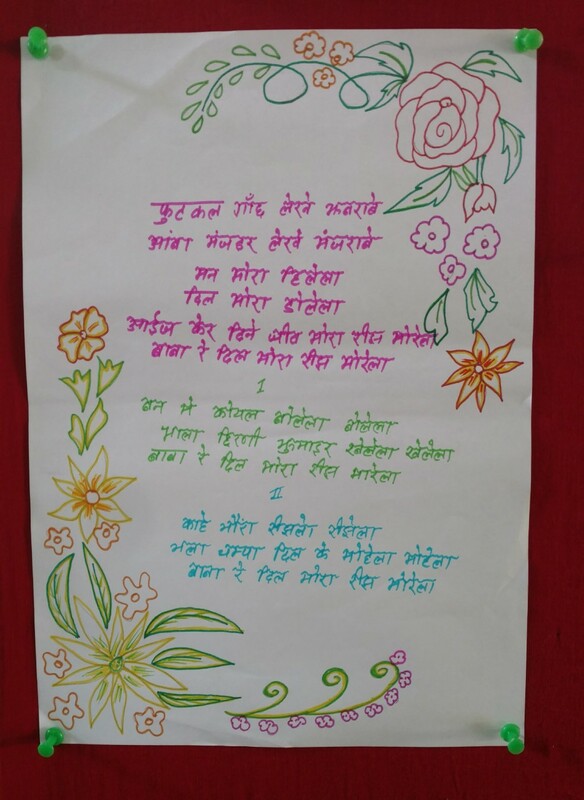 Sadri is the local language in Rampur where our workshop is located. To honour the local culture and to keep it alive we use typical Sadri songs during our parties. On the picture you can see the lyrics of the welcoming song during our open day in November ‘18. “Blooming like a Ficus tree. Flourishing like a Mango flower. O yeah! My mood is happy. Why is the Bumblebee happy? The Magnolia is fascinating my heart.